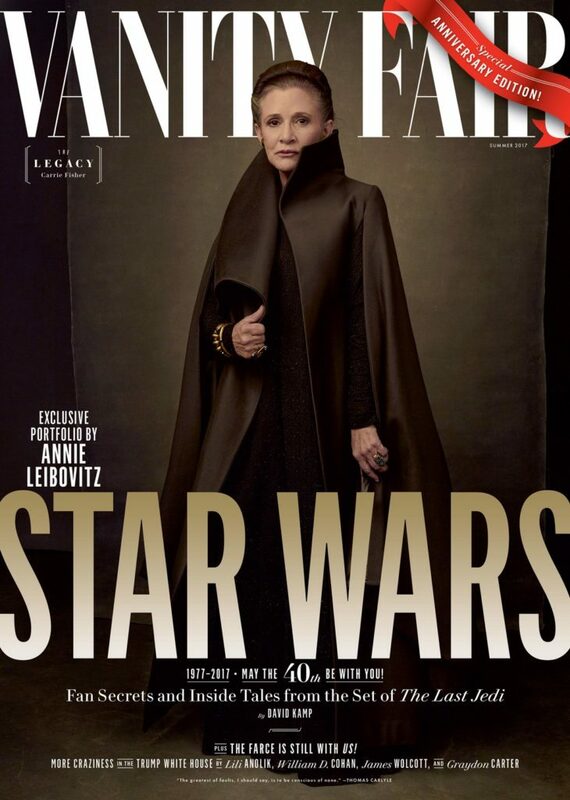 Vanity Fair has just released four covers for its upcoming Star Wars 40th anniversary edition and Carrie Fisher looks so regal, we’re in tears. The late actress, who makes her fifth and final appearance in the long-running franchise, looks *so* stately and powerful as General Leia Organa. Fisher, who passed away in December from a heart attack, had recently completed her work for The Last Jedi before her death. It remains to be seen how her passing will impact the story for the ninth episode of the Star Wars franchise but the solo Vanity Fair cover shows just how much of a void Fisher’s death has left. Seriously, Fisher’s portrait of Leia is so moving, we’re having trouble believing that this will be her final appearance. The photos were taken on location from the set of The Last Jedi by acclaimed photographer Annie Leibovitz, who has been photographing the casts of Star Wars since 1980’s The Empire Strikes back. Since 1999’s The Phantom Menace, Vanity Fair has covered each new installment of the beloved saga but this upcoming issue also celebrates the 40th anniversary of the Star Wars franchise. The other three covers feature the some of our favorite members of the resistance, the evil First Order, and *even* the (maybe) last Jedi themselves. 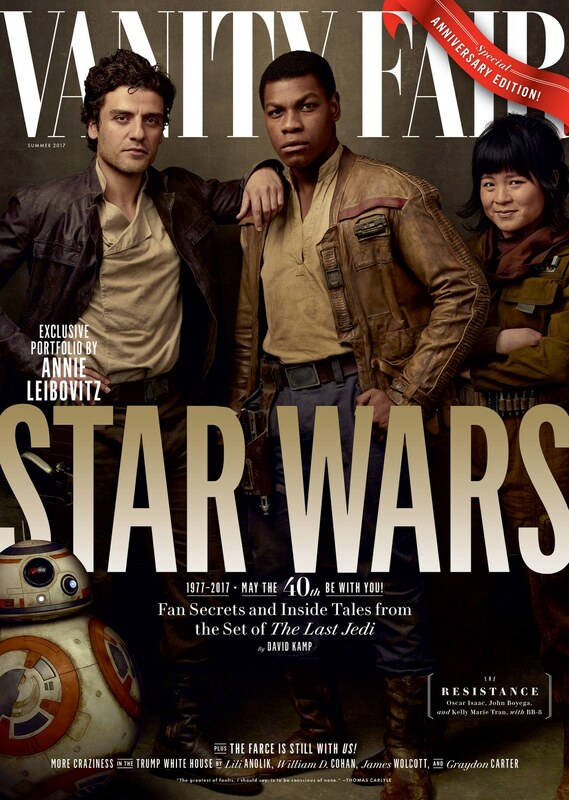 Oscar Isaac (Poe Dameron), John Boyega (Finn), and newcomer Kelly Marie Tran (Rose Tico). 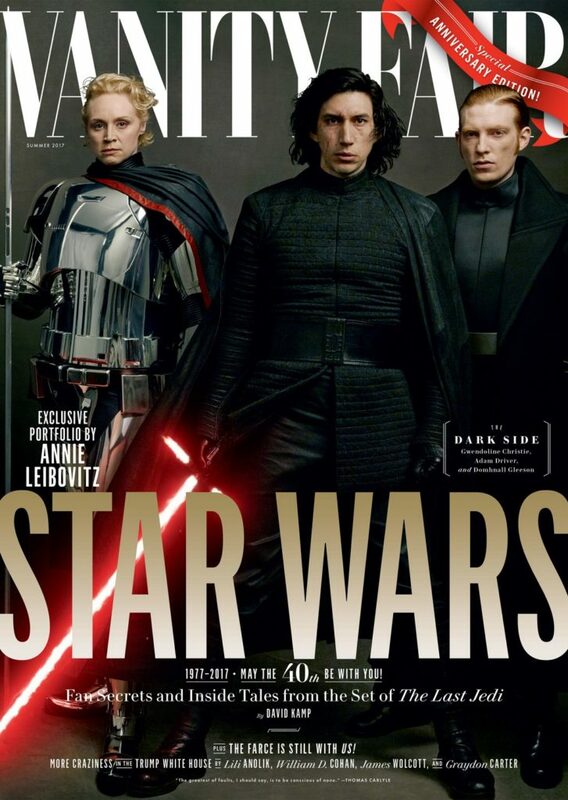 Gwendoline Christie (Captain Phasma), Adam Driver (Kylo Ren), and Domhnall Gleeson (General Hux). Daisy Ridey (Rey) and Mark Hamill (Luke Skywalker). 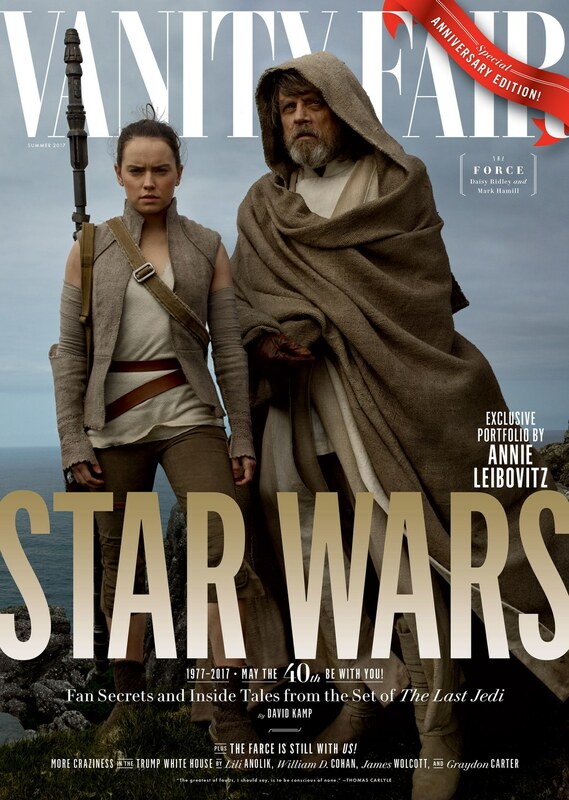 The rest of Leibovitz’s portfolio from her time on the set of The Last Jedi will be released by Vanity Fair online on Wednesday (May 24th), along with a story by David Kamp.